Any HR Professional looking to advance their career! Applicants must be able to demonstrate that they devoted at least 1,000 hours to HR-related activities in any calendar year to qualify as having a year of HR-related experience. More than 1,000 hours in a calendar year does not equate to more than one (1) year of experience. With the Pittsburgh Human Resources Association, you'll be able to tap into the expertise and guidance of our highly-experienced, SHRM-certified instructors who are ready to work with you to make sure you are prepared for success on your SHRM-CP or SHRM-SCP exam. "After recently passing the SHRM-CP exam, I attest a lot of my success to the PHRA SHRM- CP/SCP prep course. I believe the course was extremely instrumental in preparing me for the exam. The instructors provided great insight and knowledge on the subject matter and explained the functional areas in a simplistic way. The exam was certainly challenging but without the help of the prep class and the SHRM Learning System I don’t think I would have seen the same results. I highly recommend attending this course to anyone who is considering pursuing these certifications." Along with your classmates, you'll learn one small topic segment at a time to ensure you have a clear understanding and can apply the concept quickly and easily on the SHRM-CP or SHRM-SCP exam and in your day-to-day HR responsibilities. These learning modules also provide an in-depth exploration of the knowledge domains and behavioral competencies tested on the SHRM exams. Can I earn recertification credits taking this course? If you have already earned the SHRM Certification, you can obtain up to 36 professional development credits (if you are attending this program for professional development only). Beginning on Tuesday, February 19th, this course is held every Monday for twelve weeks, with a BONUS Saturday review session. Class on President's Day (Feb.18) will be held the following Tuesday (Feb. 19) instead. Why choose the Pittsburgh Human Resources Association (PHRA) for SHRM Certification Prep? Our 86% pass rate for the SHRM-CP and 71% pass rate for the SHRM-SCP far exceeds the national pass rates. We are one of the few chapters in the country that is recognized as a SHRM Education Partner. We are a SHRM Recertification Pre-Approved Provider, so we are ready to help after you pass the test and need to keep up with your recertification credits. What will I receive for my investment? The 2019 SHRM Learning System Online & Print - Providing you with an interactive, personalized path toward success. 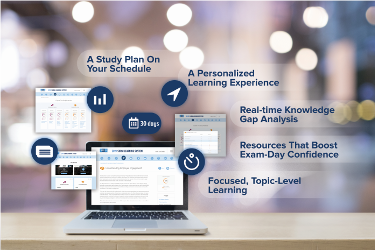 This system also includes: Smartstudy tools, over 1,500 practice questions, flashcards (online & print format), resource center, post-test, access to learning tools for 18 months from date of purchase, and more! Weekly in-person, expert-lead working sessions to guide you through each functional area with discussion, real-life scenarios questions & answers, and test preparation. PowerPoints (print & digital) to follow along with classes. A BONUS full-day Saturday Review session. Are there options for financial support? What if I already own the SHRM Learning System? Select the "I already own the 2019 SHRM Learning System" ticket during the registration process to submit payment for the course ONLY. Is the SHRM exam included with this course? This course does not include the final exam or exam fee, however, practice exams are included. Will certification add to my credibility? Written cancellations received before Monday, February 4, 2019 will receive a full refund. Due to the materials, administration, and resources required to run the course, no refunds will be given after February 4. Our guarantee: If you are present for (and sign into) all classes in the prep course and Saturday review, and do not pass your exam, you can attend our next prep class for free. Does not include a new set of the SHRM Learning System. Ready to commit to your career with the Pittsburgh Human Resources Association? Reserve your seat today! Questions? Contact the PHRA office at 412-261-5537 or e-mail us.